Natural cold remedies for cold and flu season are just what you need to stay healthy through the fall and winter months. In this post, you’ll find the best natural remedies for cold and flu. It’s helpful to try several different common cold remedies in combination for the best effect and to shorten the duration of illness as much as possible. These home remedies for cold and flu will complement conventional treatments and sometimes (if implemented quickly) will make that doctor’s visit unnecessary. During cold and flu season, you need a guide to help you find the best natural cold remedies to try, all in one spot. Bookmark or pin this post, and anytime you start to feel a sniffle or cough, look it up and check off the list of remedies to make sure you haven’t missed anything. 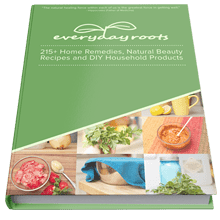 When anyone in our home starts to feel sick, we immediately douse ourselves with as many of these concoctions, teas, potions, and oils as possible. In most cases, the illness is gone quickly and no one else catches it. It’s always a good idea to try natural cold treatment along with conventional for the best results. If it’s something minor, treating an illness with natural cold remedies first is a great idea – many times that’s all you need. Home remedies for common cold are great because they work with your body chemistry using safe compounds created by God with no side effects. If the illness continues to hold on, a doctor’s visit is in order. 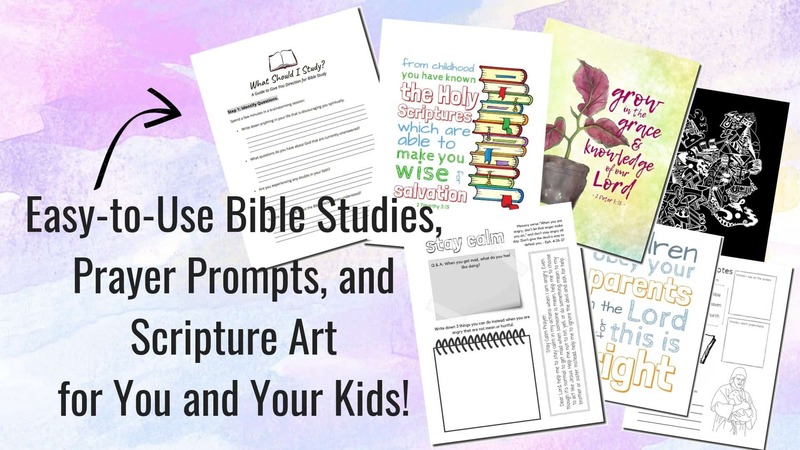 Let’s dive into the list! You can use this post as a springboard of ideas to guide you through any common cold symptoms you may encounter. 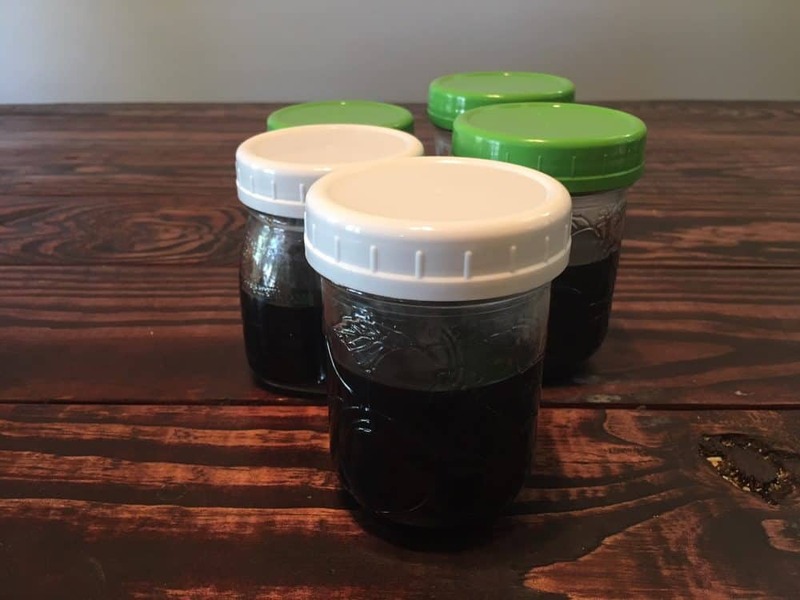 A couple months ago I wrote a post on how to make the easiest elderberry syrup. Elderberries contain compounds that help the immune system fight off a common cold, as well as vitamins A, B, and C. It’s so easy to make anyone can do it, and it tastes delicious. Kids love it too. So really, there’s no reason not to try this natural cold remedy. If you want something more like the store bought version (Sambucol), try this thick version! Any time I start to feel a sniffle or sore throat, I do a saline nasal rinse to cleanse the sinus area and get rid of excess mucus. It really seems to help dry things up and prevent that sniffle from turning into a full-blown illness. I tried the Neti Pot in the past and just could not do it – pouring something into my nasal cavity is probably the worst feeling ever. Then, my sister introduced me to an ingenious nasal rinse squirt bottle, and it was a game changer. All you do is insert it into one nostril and squeeze, letting the water drain through the other side. So much easier. It does take a bit of a learning curve, but it truly helps to relieve colds and allergy symptoms at the onset. When wondering how to cure a cold, homemade ginger tea is one of my favorite drinks for a sniffle or sore throat. 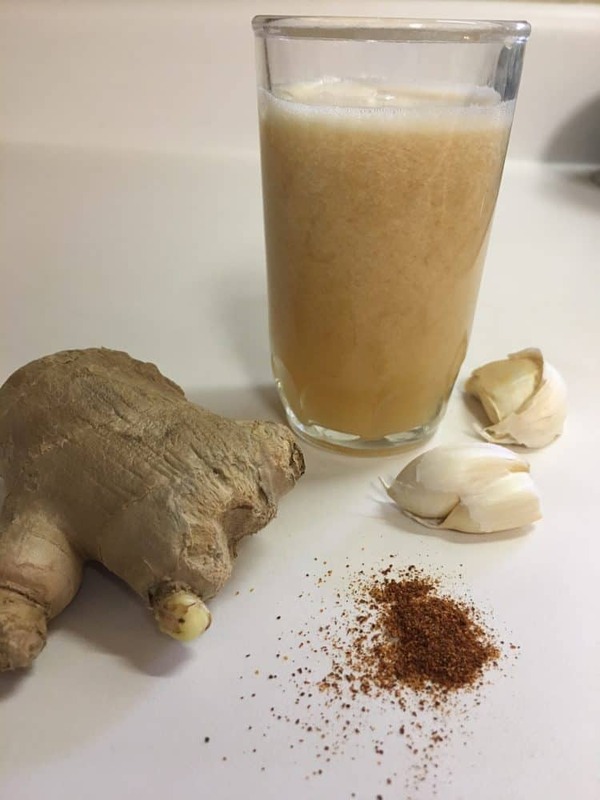 It tastes amazing and has healing and anti-viral properties. 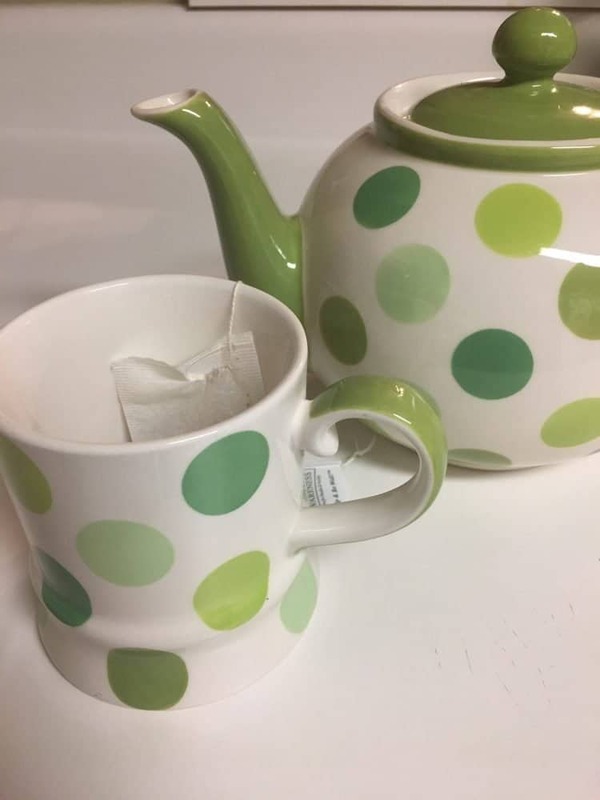 To make ginger tea, grate 1 inch of peeled ginger into a teapot and add hot water and honey to taste. To boost it’s healing powers even further, add a squeeze of lemon and local or manuka honey. Most of us know that Vitamin C helps to fight off common cold symptoms. It’s most effective when taken at the onset of symptoms to shorten the duration of illness. To get the biggest boost of vitamin C, consume lots of citrus and add lemon to water or tea. Other Vitamin C rich foods include kiwi, broccoli, green or red peppers, and strawberries. If you want to take a supplement as well, here’s a good one to try. We often use Emergen-C packets which also contain B vitamins and other minerals. Honey contains enzymes, antioxidants, and antibacterial properties which are great at helping support the body during sickness. It has been shown to have a similar effect as cough syrup for symptom relief, making it one of the best home remedies for common cold. Raw, local, or manuka honey contain more healing enzymes than heated honey. Add honey to tea, toast, or just eat if off the spoon! Here’s a testament to the antibacterial power of manuka honey: my husband knows a man who had to have part of his leg amputated due to infection. The infection continued post surgery, so doctors were discussing the need to amputate even more. My husband told him to try applying manuka honey to the infected area, and it is starting to heal! He said it has helped him more than any antibiotic ointment he has tried. Everyone knows that homemade soup or broth is helpful for illness, but do you know why? It’s the high mineral content. Slow cooking the bones for many hours (up to 72) draws all the marrow out of the bones, which delivers lots of healing nutrients. 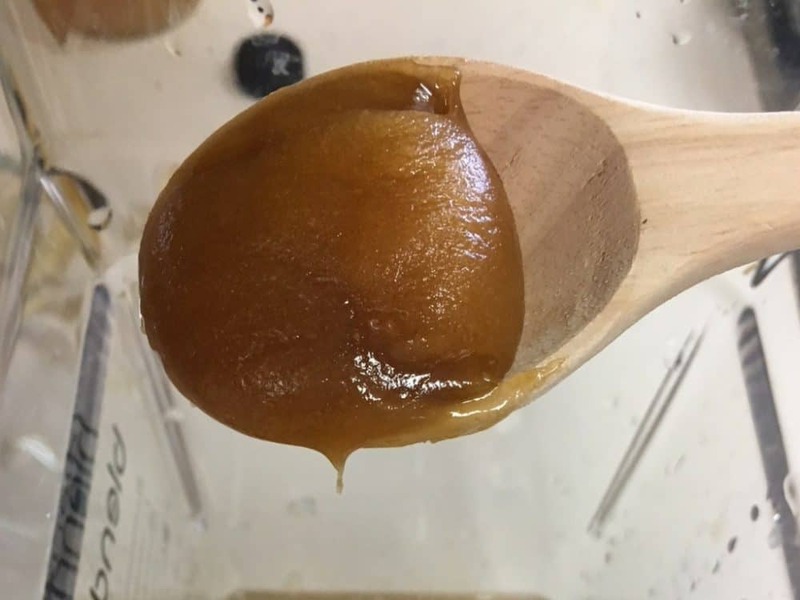 Check out this post from PaleoHacks on making your own bone broth. Many times, soup is the only thing you feel like eating when you’re sick. Not only does bone broth support the body during illness, it is also great for the entire body including joint and digestive health. Of all the natural cold remedies in this list, salsa is my favorite. Who doesn’t LOVE chips and salsa?! Salsa is one of our family’s go-to foods when illness strikes, and we typically live off chicken soup and Mexican food for a few days. Homemade salsa is a powerhouse among common cold remedies because it contains several cold-busting ingredients. It includes lots of garlic, which helps kill germs. It also contains hot peppers which help thin mucus, plus lemon and tomatoes for Vitamin C. Check out our homemade salsa recipe which has been finely tuned over a decade of salsa-making. Essential oils are also great for supporting the body if you’re wondering how to treat a cold, and the Thieves blend is best for this purpose. According to legend, 15th century French thieves doused themselves in this oil blend before robbing the homes of those suffering with the plague and it kept them from contracting the disease. This blend contains clove, lemon, cinnamon, eucalyptus, and rosemary oils. For a more budget-friendly alternative, we love using the Germ Fighter blend by Plant Therapy which is almost identical to Thieves. A great way to use it is to mix a few drops of carrier oil like coconut or almond with several drops of Germ Fighter, and rub it all over chest and feet. It’s also great to diffuse this oil throughout your home. 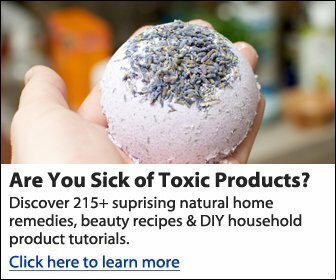 Although certain MLM companies may encourage you to do so, you should never ingest essential oils – this practice can be dangerous. Using humidifiers and diffusers are also great home remedies for colds. A humidifier helps to ease congestion, and “a recent study of findings suggests that maintaining an indoor humidity level between 40-60% can reduce the survival of flu viruses on surfaces and in the air” (source). Keeping your humidifier clean is super important, though – you don’t want it harboring more germs and bacteria. Another option is a diffuser, which is a great tool for using essential oils as mentioned above. Keeping one of these machines running throughout the night can be helpful to ease congestion and get better sleep. This cool mist humidifier and essential oil diffuser hybrid looks amazing, and you can get the benefits of both tools from one machine. Apple cider vinegar (also known as ACV) works wonders for common cold symptoms. It’s known to help balance pH levels and provide minerals like potassium. It also helps to thin and break up mucus, and the vinegar helps to kill off bacteria. The vitamin C and mineral content helps strengthen the immune system as well. Bragg’s apple cider vinegar with “the mother” is the best kind to use. When my husband starts to feel sick, he pours himself a large glass of pulpy orange juice and sprinkles chia seeds in it. It’s a cold treatment his mom used to make for him as a child, and it seems to work. She used to add garlic to this concoction — but we can’t seem to make that leap (ha!). Of course the vitamin C is helpful, and chia seeds contain healthy minerals such as calcium, potassium, and zinc. Speaking of my mother-in-law’s home remedies for cold, her most famous concoction is homemade Super Tonic. This mixture will definitely kick your cold in the teeth! 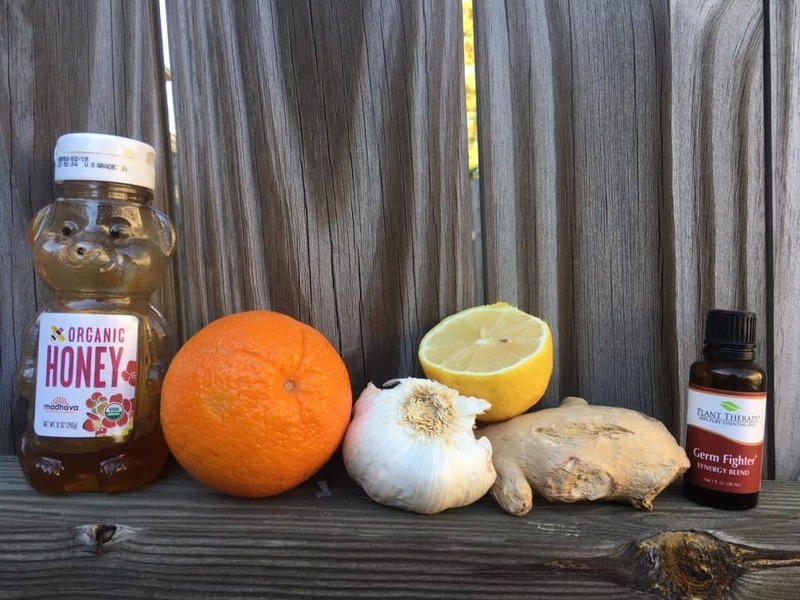 It contains so many natural cold remedies in one bottle: apple cider vinegar, cayenne pepper, garlic, ginger, and honey. The taste is strong but the results are worth it. Here’s the recipe. This one should go without saying, but washing hands frequently is probably the best tool for preventing the spread of germs. 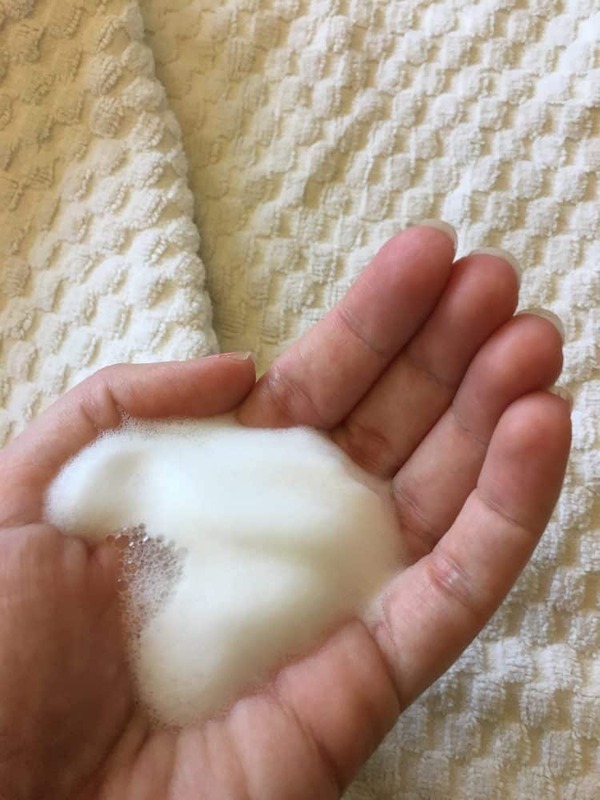 This DIY foaming hand soap recipe is amazing, all natural, and won’t dry out your hands. If you’re on the go, this all natural hand sanitizer recipe is a great idea for killing germs and staying healthy. 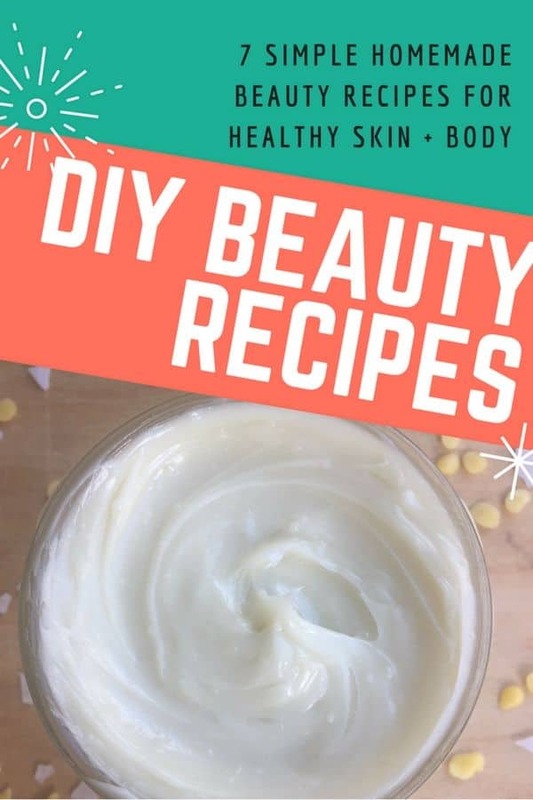 It uses essential oils and is alcohol-free. Some wellness practitioners are starting to value vitamin D3 even more highly than vitamin C for staying healthy in the winter months. It has been argued that it is not the cold weather making us sick, but the lack of sunshine and lower D3 levels. Vitamin D3 is crucial for a healthy immune system, which makes it a powerful cold treatment. During the winter months, it’s recommended to take a D3 supplement of 1,000-5,000 IU per day if you aren’t getting much sun, especially if a blood test has shown that you’re deficient. Here’s the supplement I take. Try to get outside even if it’s cold, just for a short walk. When it comes to natural remedies for cold and flu, echinacea is nature’s go-to herb. Echinacea is a Native American flower that has been used for many years as an herbal remedy. It can shorten the duration of a cold and may even cut the chances of catching a cold by 58% (source). Echinacea supplements can be found in many stores, or online. 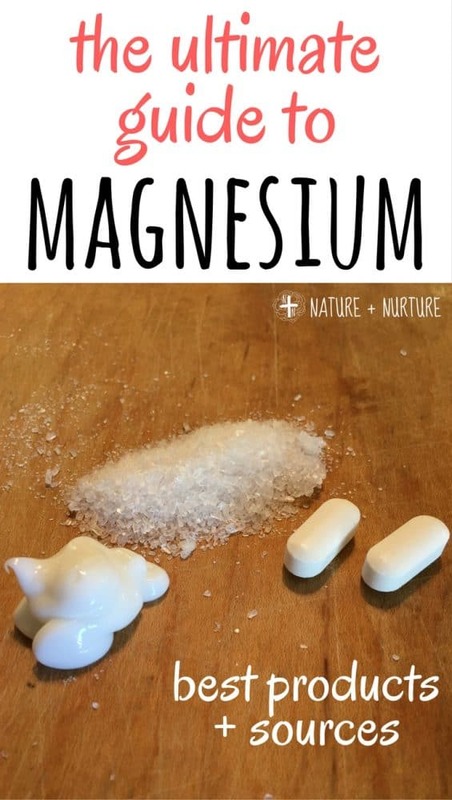 Another great supplement to try when wondering how to treat a cold is the mineral zinc. Although zinc does not seem to help prevent a cold, it helps your body to fight off a cold by keeping the virus from multiplying (source). Stress has been shown to make the immune system work harder, which is the opposite of helpful when you are sick. According to one study, “healthy adults were quarantined, asked about their stress levels, and exposed to a cold. People who reported being stressed out were almost twice as likely to get the virus. Chronic stress makes it harder for immune cells to respond to hormonal signals that regulate inflammation, according to researchers” (source). Eating natural sugars in moderation is great, but if you have common cold symptoms, stay away from the white stuff. Processed sugar can help feed bad bacteria that is making you sick, and can keep you sick for longer. Of all the natural cold remedies, using a steam treatment is a lovely idea to try. Putting your face over a hot bowl of steam is a great way to break up congestion and breathe easier. 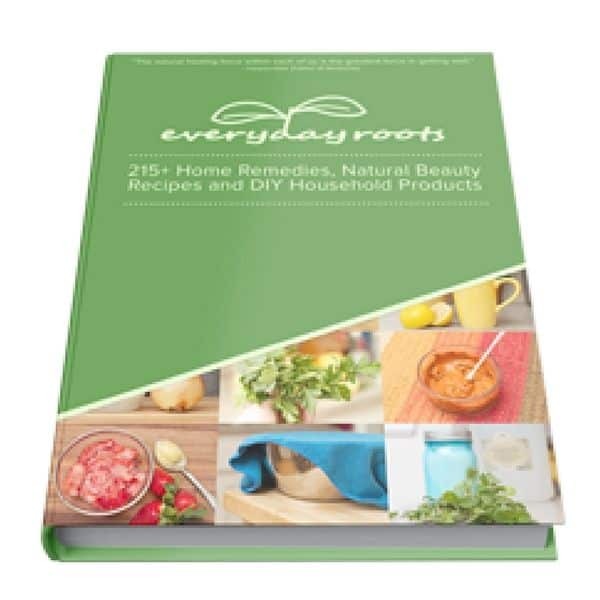 This steam treatment by Everyday Roots also includes eucalyptus and tea tree oils, which have a very strong smell and help open nasal passages. 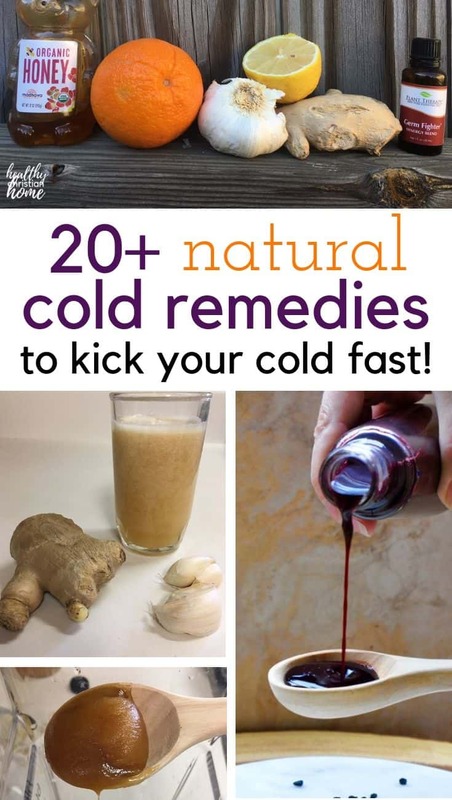 She also has a bunch of other really cool natural cold remedies to try – I recommend reading her post! “People who slept five to six hours were 4.2 times more likely to get sick than those who slept seven hours or more. This finding makes sense, because lack of sleep has been shown to lower a person’s population of T cells – white blood cells that are key to the body’s immune response: (source). We all know how important sleep is for good health, but it’s even more crucial if you’re fighting off an ailment. The trouble is, we all know it’s more difficult to sleep when you don’t feel good! To remedy this, check out my post on the top tips for a great night’s sleep. Now, don’t forget to pin this post and refer back to it the next time you feel a cold or sickness coming on. 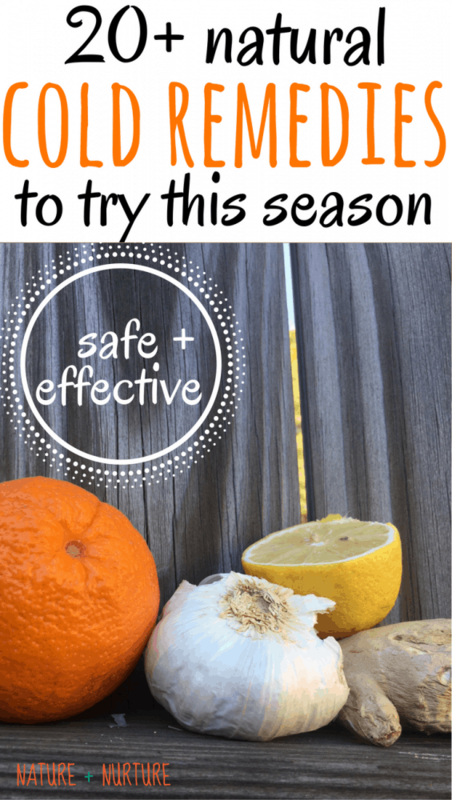 Share this post with your family and friends to help them prepare for cold and flu season, armed with plenty of natural cold remedies. Do you have any natural cold remedies to add to this list? Hi there! I have a few go to remedies that we use regularly. I make an ACV, Lemon Juice, Honey and Ginger hot tonic which works wonders for head colds and sinus infections. I also like grapefruit seed extract and monolaurin for tougher bacterial and viral infections. Whenever anyone in the house is getting sick, my husband uses a good strong mouthwash like Listerine., and gargle with it a couple of times a day. This seems to kill a lot of the germ. He will usually end up not getting sick when everyone else in the house does.